We live in an age of helicopter parenting. Long gone are the idyllic days where kids spent time playing outdoors with their friends until the street lights came on. This day in age, we keep busy with school, homework, and a whole load of extracurricular activities. We know that children have an amazing capacity for learning and we know that in a globalizing world, we must prepare our children to compete, so prepare them we do. All the while we are preparing our children with extra sports, and extra math, and extra technology, we are failing to prepare them on some of the most important skills that will lead to happy, healthy, and successful lives. Instead of all of that extra homework and full schedule of extracurricular activities (I mean, can’t we limit them to one or two days a week?? ), there is an entered host of fun activities that you can do with your children at home and one of our favorites is cooking. So, just what can your child learn from spending time with you in the kitchen? Did you know that only 25% of parents report assigning chores to their children? As adults, over 80% of us recall having to do chores as we grew up, but these days, a very small number of us ask our children to help with cleaning up their toys, putting away their laundry, doing the dishes, and preparing meals. At a very young age, children love to help and actually want to do all of the things we adults do, but we often do not let them. By the time they are young adults, they have no sense of responsibility and often do not know how to take care of themselves. Asking them to help in the kitchen from the start will instill in them that sense of responsibility and will give them pride in knowing that they can not only help themselves, but help the rest of the family. Assigning them the chores they can handle and increasing the level of responsibility as it is developmentally appropriate in and out of the kitchen is crucial for the development of important life skills. So feel free to let them pour, stir, crack, slice, and wipe to their hearts content! Language, comprehension, and relating to others can be developed through making a meal together. How do children learn language? Well, by listening to it, imitating it, and experimenting with it. Therefore, in order to teach language, we must speak, model and listen to our children. Describing what you are doing in the kitchen (self-talk), narrating what they are doing in the kitchen (parallel-talk), asking questions (especially open-ended questions that involve asking “why?” and “what do you think?”) will help your child develop their language skills. 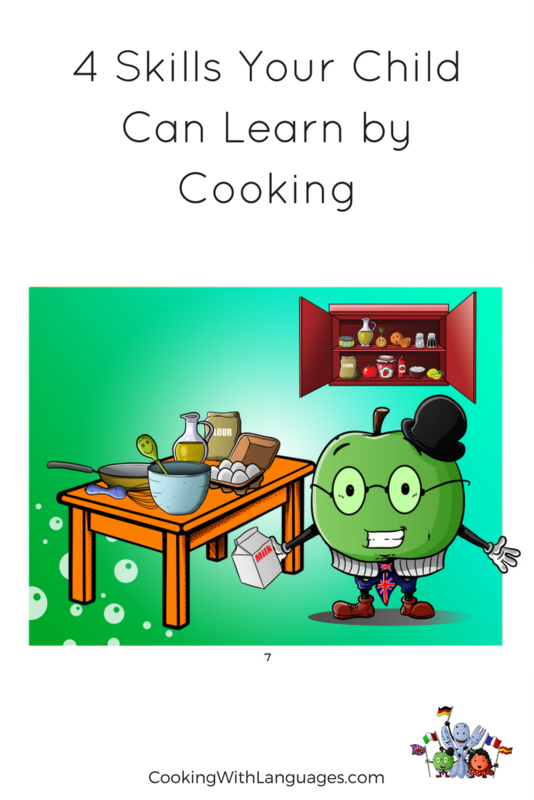 In the same manner, is fantastic for teaching and practicing a child´s second or even third language, which is the premise behind Cooking with Languages. Experience is a child´s best teacher. From the time of birth, it is through their experiences that they make sense of the world and learn from it. They will actually learn much better by doing than by hearing. The kitchen is a great laboratory for learning. 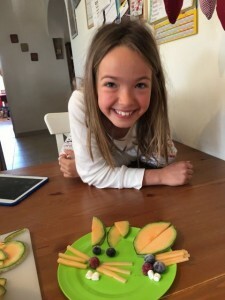 Kids can learn about science and even math by simply experimenting with what they are cooking; measuring, fractioning, changes caused by heat, can all be learned through first-hand experiences in the kitchen. They can also refine their fine motor skills by scooping, pouring, and cutting. These are opportunities to discuss where food comes from and how it is distributed and what our relationships with our food sources are like. Without even really trying (or their noticing) you can conduct entire lessons in a fun and engaging ways. We often hear about the importance of sitting down as a family and sharing a meal. This is not just sappy and idealistic talk! Families that share meals together have better relationships and healthier eating habits. 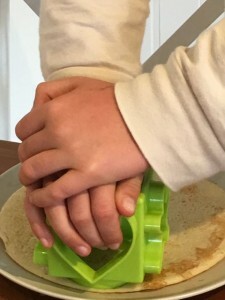 Taking the time to sit down together and sharing plans for the day or talking about the day’s events can bring about closeness, and if it is sitting down to a meal that your child(ren) helped make, it is all the sweeter! It can be so tough to make the time to spend together, because we are so busy. But maybe we can cut out a few things from our day and make it a point to share this bonding experience, at least a couple times a week. What do you think? 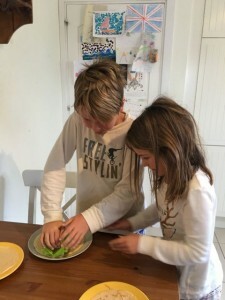 Do you ever enlist your child´s help to make a meal? How many times a week can you manage to eat together? What do you think is the most valuable part of this time? Share your thoughts and opinions with us. We would love to hear them! 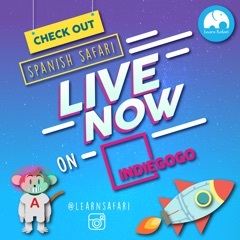 Support Learn Safari on IndieGoGo now! 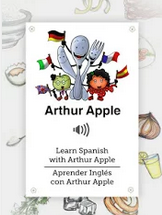 Spanish Safari is a Spanish language learning application for children 5 to 9 years old. 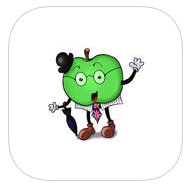 It uses gamification and spaced repetition to help kids learn and practice Spanish in a fun and intuitive way. It can be used by children who do not speak any Spanish or by bilingual children who would like more practice and exposure to the language.